Well, folks. This weekend, 5 Points Theatre is yet again showing a classic, beloved film that I've never seen – 1986’s Labyrinth. Directed by Muppet maestro Jim Henson and produced by George Lucas, the film features Jennifer Connelly as a young girl trying to rescue her brother from a maze in another world ruled by a Goblin King named Jareth (David Bowie). The film is notable for different reasons. It was the last film Henson directed before his death in 1990, which is sad, because it didn’t do that well when it was released, especially compared to his earlier film, The Dark Crystal (guess what, haven’t seen that either). According to IMDb, Labyrinth’s budget was an estimated $25,000,000 and only grossed $12,729,917 in America. 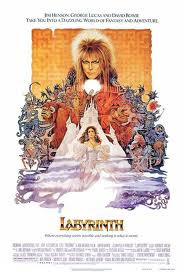 Although it wasn’t considered a hit back then, it’s obviously loved enough today to get a special screening at 5 Points, and I learned through Wikipedia that there’s even a Los Angeles-based masquerade ball devoted to the film called “Labyrinth of Jareth” (yikes). After watching that trailer, all I know for certain is that the film looks very '80s and there's an unusual amount of characters falling off and through things. I grew up watching similar films like The Neverending Story and Willow so I'm not sure why I haven't seen Labyrinth. Maybe I was scared of Bowie (and how come he’s the Goblin King but he isn’t a goblin…?) or I knew that Jennifer Connelly would only grow up to break my heart in Requiem for a Dream (you guys know what I’m talking about). So in short, I'm stoked to see the film – at the late night screening, no less. Check out 5 Points’ website for more info. 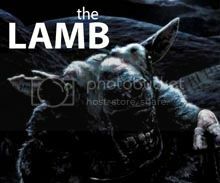 I love this film, it's one of my 'comfort' movies! David Bowie is particularly awesome. I haven't seen the Dark Crystal either, and I particularly want to. Hope you enjoy it!